I haven’t forgotten you, but the blog has certainly taken a back seat to other things! I hope you are also following me on Instagram, Facebook, and Twitter! Still active there! Going to try to get back into the habit of blogging here, however. 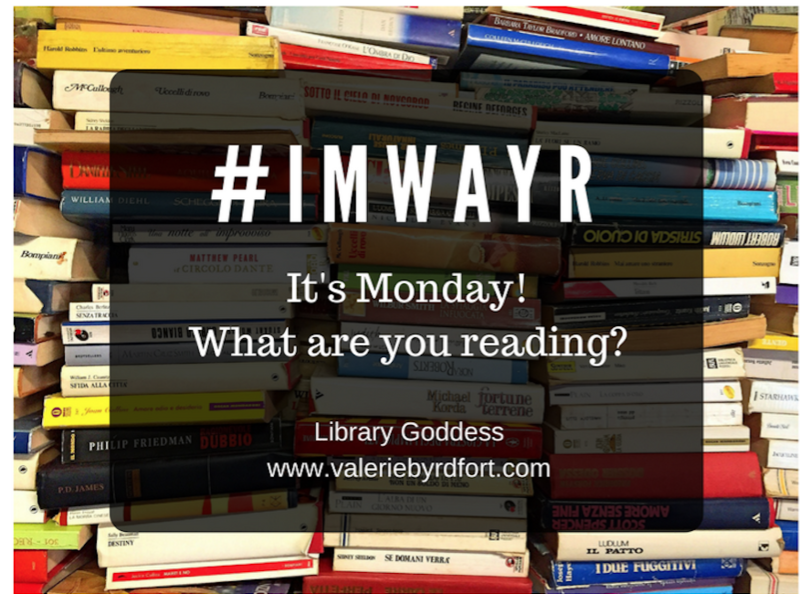 Best way I have found for me to make a habit of something is to enter a challenge or a community of some sort and I love the #imwayr community! I used to be very good about posting my reading each week and it’s time to get that going again! So, here we are! For work: If you have been following along, you know that I am staying home with my toddler this year. I do, however, teach a Children’s Literature course for the University of South Carolina. The class I am teaching this semester is a short one – 8 weeks long! So, this is our final week and I am reading my fav “goodbye” book, Chicken Cheeks by Black. Listening to: Just started 13 Things Mentally Strong Parents Don’t Do by Morin. Very interesting so far! Just completed Tell Me More by Kelly Corrigan. LOVE her work! I’ve gotten into mom memoirs (no surprise – you read what you are living, right?) but her books are so much more than that. This one is more about grief (she recently lost her father and best friend). Loved it. Toddler: A year (?!) later and we are STILL reading the same two Mickey Mouse Clubhouse books before each nap time and bedtime. One day, I will miss reading these books, right?!?!?! 123 Peas by Baker and an assortment of Mickey Mouse and Paw Patrol books have been her jam this weekend.